Cancer vaccines are designed to heighten the immune system's awareness of a tumor's unique features, boosting its ability to recognize, attack, and destroy the cancer. To date, effective cancer vaccines have focused on what are called "neoantigens," tumor-specific peptides that result from acquired mutations. But not every tumor produces distinct antigens that the immune system can recognize. As a result, current cancer vaccines don't work for all patients. Now, a team led by researchers in the lab of Broad Cancer Program associate member and Dana-Farber Cancer Institute oncologist Eliezer Van Allen demonstrate the presence of an entirely new class of neoantigens. This new study, published in Nature Biotechnology, was led by medical student Alicia Smart and computational biologist Claire Margolis. Dubbed "retained intron neoantigens," these potential immune triggers stem from short segments of noncoding DNA within genes—called introns—that are typically spliced out when genes are translated into proteins. In cancer, however, introns often get translated into a gene's final protein product. 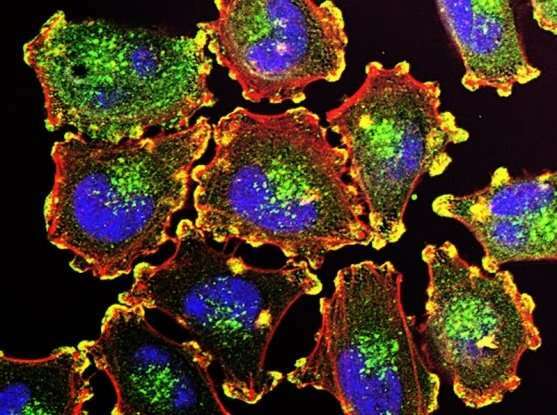 The team developed and applied an algorithm that could identify these retained introns from 48 melanoma patients who had been treated with a form of cancer immunotherapy called a checkpoint inhibitor. By including retained introns in their analysis, the team roughly doubled the number of neoantigens they could identify. These new peptides, they found, bind to a molecule called MHC class I—the first step toward being recognized by the immune system. The team also investigated whether checkpoint inhibitor treatment—a therapy that increases overall immune activity but does not target particular neoantigens—was more successful in tumors that had increased numbers of retained intron neoantigens. Interestingly, they found that having more retained intron neoantigens did not lead to better treatment outcomes, contrasting with previous work by Van Allen and others showing a positive correlation between the overall number of acquired mutation neoantigens and better immunotherapy response. The researchers also discovered that tumors that did not respond to checkpoint inhibitors as well as those with high levels of retained intron neoantigens both showed upregulation of cell cycle-regulating genes. Drugs targeting these same genes can increase checkpoint inhibitors' effectiveness, suggesting a tantalizing possible link between the presence of retained intron neoantigens and potentially effective combination therapies. That link will require substantial further investigation, the researchers note. In the meantime, they also plan to focus on identifying additional new neoantigen classes for developing cancer vaccines.